Wait for the Roadkill signal – then dive for the perfect kill! So you have two clear signals to get you into the market in your preferred timeframe. 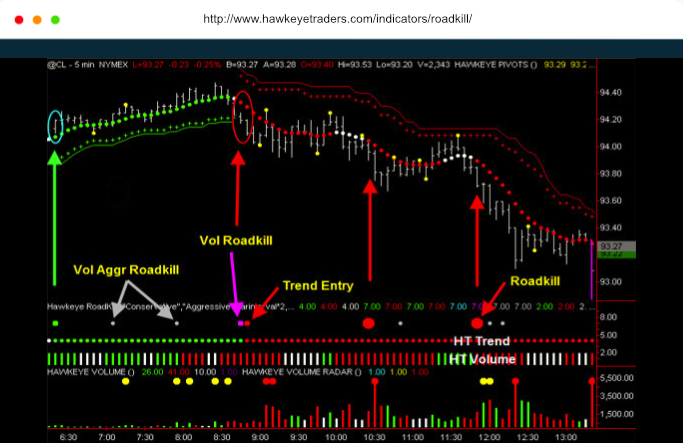 Even more powerful, the Roadkill indicator also works on the Hawkeye tick charts, so you have an entry signal based on volume — something no other software company in the world can offer on the TradeStation platform. Trend Roadkill displays the trend direction in the current timeframe as well as the slower timeframe of your choice. The Hawkeye Roadkill indicator then waits for the two trends to match and places a large dot on the indicator. The same applies when the volume matches on both timeframes thereby giving you a Trend Roadkill or a Volume Roadkill. In addition, if the market lapses out of trend briefly, and then back into trend, Roadkill gives you another minor signal to get in, just in case you missed the first signal. The initial Trend Roadkill signals (or Trend Setup Signals) appear as large dark green dots for an uptrend and large dark red dots for a downtrend. The reentry Trend Roadkill signals appear as small red dots for a downtrend and small green dots for an uptrend. Volume Roadkill also looks at two timeframes simultaneously. 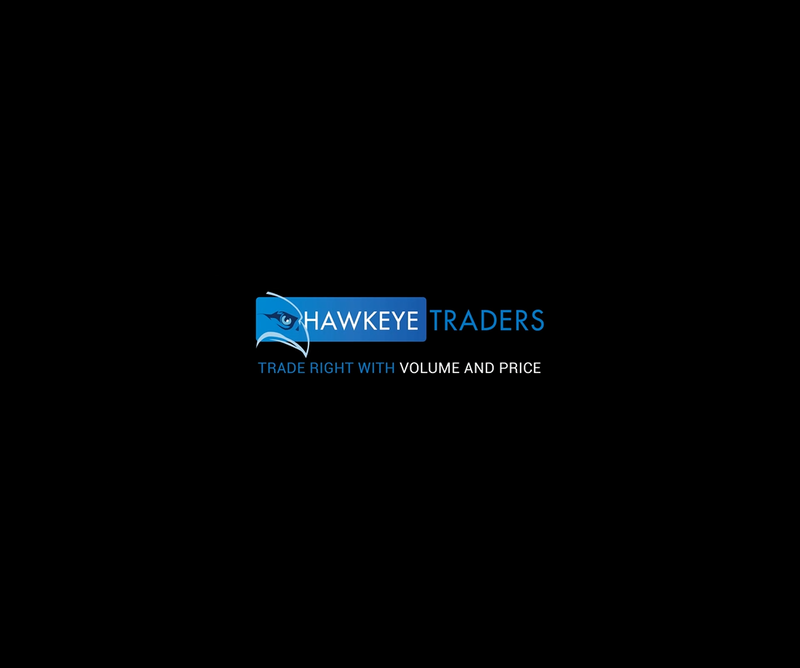 The difference here is that Hawkeye is now looking for the volume indicators in both timeframes to line up, and a strong price bar to confirm that the market is set to continue in that direction. If you have read The Volume Secret, then you know that Nigel Hawkes’ methodology is groundbreaking and that his Volume indicator is probably the most accurate predictor of FUTURE direction. Volume after all is the ONLY leading indicator, and when combined with price, provides the ultimate predictor of future market direction. So the power of Roadkill is immense, because it is taking an already powerful indicator and applying it to multiple timeframes. The initial Volume Roadkill entry signals appear as large cyan dots for a long position, and large magenta dots for a short entry to the market. Subsequent volume reentry signals appear as small grey dots for both buy and sell entries. As you can see, the Hawkeye Indicators work in harmony with each other to produce powerful and accurate trading signals.